The origins of the genre. Maze War, Castle Wolfenstein and (of course) Doom. Kristan’s epic retrospective leaves the starting blocks. 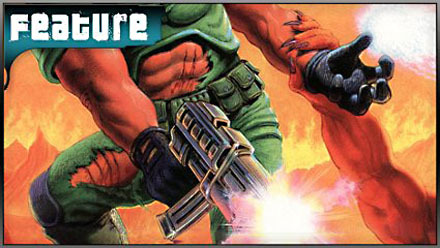 Casting back to the origins of the First Person Shooter, it’d be easy to recount id Software’s seminal achievements in the early 1990s, shout about Wolfenstein 3D and Doom, and completely disregard all the effort and experimentation that preceded them. 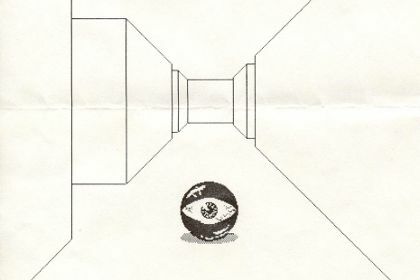 For the very first examples of first-person shooting, you have to go right back to 1974 – an era when most people were only just getting their first taste of videogaming via Spacewar and Pong, and the idea of owning your own computer or gaming console was a distant dream. Maze War. Anyone else expecting David Bowie in a leprechaun suit? Early that year, two ambitious programmers – Steve Colley and Jim Bowery – independently came up with what are widely regarded as the original First Person Shooters: Maze War and Spasim, respectively. Although their wireframe graphics and slow frame rates make them look extremely primitive even by early videogame standards, they nevertheless provided a few lucky students with a glimpse into an entertainment future that would engross millions. It wasn’t until the 1980s that the masses were to get their first taste of first person shooters – and even then, they often came in unfamiliar forms that made the most of the technological limitations of the hardware. 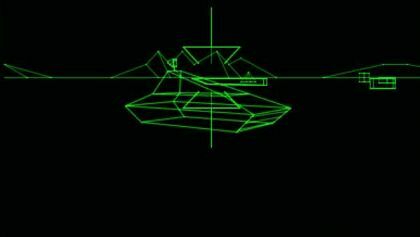 Atari’s 3D tank-shooter Battlezone (1980) was arguably the first commercially successful first person shooter, and was one of many titles to take advantage of the vector graphics techniques popular at the start of the decade. The mighty Battlezone in action. Another interesting evolution of the first person shooter was also taking place in the light gun arena, which became progressively more popular in arcades as the 80s wore on. Once 3D techniques became more sophisticated and the hardware caught up with developer ambition, it was only a matter of time before more games built on the idea. But as ambitious as some of these early efforts were, the time wasn’t right for first person shooting to blossom just yet. For most of the 1980s, free-roaming 3D engines were beyond the capabilities of the dominant 8-bit systems. The best of the bunch was Incentive’s incredible Freescape engine, used memorably in Driller (1987). That said, back then you’d have been lucky to move around in more than two frames per second on the average ZX Spectrum. The truth was that the required tech was still a long way off. Posted in Features, FPS Gamer, and tagged with feature, first-person shooter, fps, genre, history, kristan reed.